Responsible waste management in Atlanta has become more and more important as society has become increasingly concerned with the environment. Fortunately responsible waste management is not difficult; the simple phrase “reduce, reuse, recycle” points out three viable methods of limiting environmental impact. Watch this video clip for a quick look at one of the reasons to reduce, reuse, and recycle. 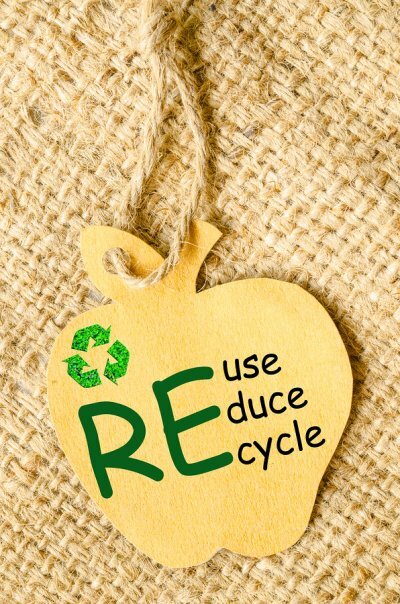 “Reduce, reuse, recycle” contains three equally important parts. When you only take what you need, you reduce the amount of waste that is generated. This is particularly applicable to food; food waste is a serious issue in the United States. You can also reuse old materials that have satisfied their initial purposes. From elementary projects to scrap metal art, most anything can be repurposed. Recycling helps to keep usable materials out of landfills. Most landfills are already taking on an excessive amount of waste, but recycling seeks to help. If you want to do what you can to protect the environment, it helps to have a clear understanding of recycling serving Atlanta. You are probably aware of how recycling can reduce the burden on landfills and put used materials back into circulation, but do you know exactly which materials can be recycled? Plastic, glass, and metal recycling all differ from each other, and it is important to understand what you can and cannot recycle. Continue on if you are interested in knowing what you can recycle. Plastic is one of the most recyclable materials, and for those who enjoy soda or bottled water, it is also very popular. The manufacture of new plastic contributes to waste and requires the use of fossil fuels, however, which makes recycling of plastic products even more important. It is important to remember to clean your plastic products before recycling them. Even small amounts of unclean plastic can contaminate other plastics in the bale, which means that the whole bale will end up in a landfill. If you are wondering if a given plastic container can be recycled, consider its shape; if it is a jug, bottle, or jar , it can probably be recycled. 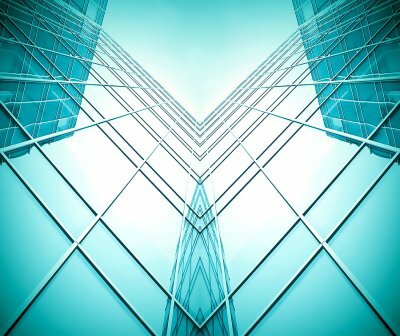 It is important to realize that not all types of glass are recyclable, and glass itself may not be accepted in certain areas. The characteristic brown glass used for beer bottles is advantageous because it protects the contents from sunlight, making it an important commodity for many businesses. An even more popular type of glass is clear glass, which allows the consumer to view the product inside the container. Green glass, like brown glass, preserves the contents and protects them from sunlight. All of these types of glasses are commonly recycled. Much – though not all – of metal recycling is related to metals like aluminum and steel. Roughly half of aluminum cans are recycled; while this is an impressive amount, millions of tons of aluminum are still thrown away on a yearly basis. Products like aluminum foil can also be recycled, but remember to wipe your foil clean before recycling. 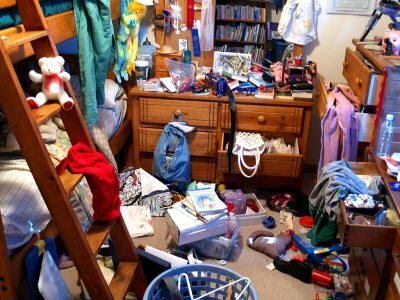 Excessive amounts of clutter and junk in the home can be stressful, but there are trash companies that are happy to help you out. You can also simplify the process of junk removal in Atlanta by following a few simple steps. Remember to work with only the most qualified junk removal services, and know what you can and cannot recycle in your area. You should also make a plan in advance and stick to it to save yourself unnecessary stress. Continue reading for a few helpful junk removal tips for your home. Clearing out junk from your home can be a daunting task to take on by yourself, so it always helps to work with a professional service. Although you may have the best idea of what qualifies as junk in your house, the pros are better able to get rid of it efficiently. Working with a junk removal company can help you take the stress out of what might otherwise be an overwhelming process. Be sure to work with a junk removal service that you trust, and ask for an estimate so there are no surprises when it comes to payment. Consider looking at review website online so you can be sure you choose a quality junk removal company. The longer it takes your junk removal company to clear out your home, the more money you will typically pay for the service. Fortunately, you can save money by getting your space organized beforehand. Take a walk around your house and decide what constitutes junk and clutter, and separate it from the rest of your belongings. It helps to use large boxes or bins so that you can make definitive decisions; a “maybe” pile can get bigger and bigger and undo your progress. Recycling is a great way to limit your environmental impact while getting rid of your junk. Unfortunately, not everything can be recycled . Learn about your local recycling regulations before you leave anything out by your curb so you can be sure you do not receive a fine for non-recyclable materials. There are very specific guidelines that govern anyone involved with industrial waste production or waste disposal in Atlanta . Industrial processes typically produce solid waste, hazardous waste, and mixed waste. Here are the waste disposal methods that industrial manufacturers must adhere to in order to operate a lawful, efficient, and comprehensive waste management system. Solid waste is non-hazardous, non-household waste that is generated during industrial manufacturing processes. Industrial solid waste management requires that the waste be evaluated, either by laboratory testing or documenting its characteristic, to determine whether or not it is hazardous. Common forms of industrial solid waste include empty containers, building materials, paint residue, sludge, tires, food waste, animal remains, and glass and plastic that can’t be recycled. Your local waste management company can perform waste disposal for all non-hazardous materials and waste. Mixed waste consists of both radioactive and hazardous materials or components. The Resource Conservation and Recovery Act and the Atomic Energy Act regulate mixed waste disposal, and the U.S. Nuclear Regulatory Commission and the U.S. Department of Energy regulate radioactive waste disposal. Most industrial mixed waste is categorized as low-level mixed waste. 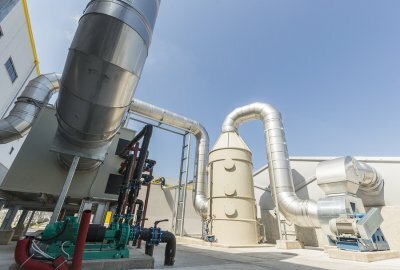 Mixed waste management and waste disposal is significantly more expensive than radioactive waste; however, a waste generator can reduce the volume of mixed waste that is produced by industrial processes. As a commercial property manager, it’s very important for you to investigate opportunities to reduce, reuse, and recycle in Atlanta . Commercial properties produce a lot of waste, and typically pay quite a bit for waste disposal. These waste reduction tips will help you save money on waste disposal, reduce waste, and implement a commercial recycling program. The best way to reduce your company’s waste disposal costs is by identifying and eliminating inefficient waste generating processes within the company. Encourage employees to email documents back and forth for review, rather than printing them out. Instead of using disposable plates, cups, and cutlery in your kitchen or break room, provide employees with reusable items, or ask employees to bring their own dishes into the office. Use washable hand towels or dish cloths in the bathrooms and kitchen instead of paper towels. When purchasing for the company, never buy more than what you absolutely know you’ll need, especially when purchasing perishable or seasonal items. Train your employees to be on the lookout for ways to reuse valuable materials whenever possible. If they frequently need to print out draft copies of documents, or if they print something by mistake, they can save the paper for reuse. This paper can be made available to the entire office for use as communal scratch paper or note taking paper. It can even be fed back into the printer upside down, so that another document draft can be printed on the other side. Use rechargeable batteries throughout the office, and reuse envelopes and packaging material whenever possible. Ask your local recycling center for information about the office materials they are capable of recycling. Most recycling centers can recycle plastics, film, wood, electronics, paper, and cardboard. Set up recycling bins around the office, and make sure employees understand basic recycling facts, and know which materials can and can’t be recycled. You should also try to buy recyclable goods or recycled goods whenever possible.